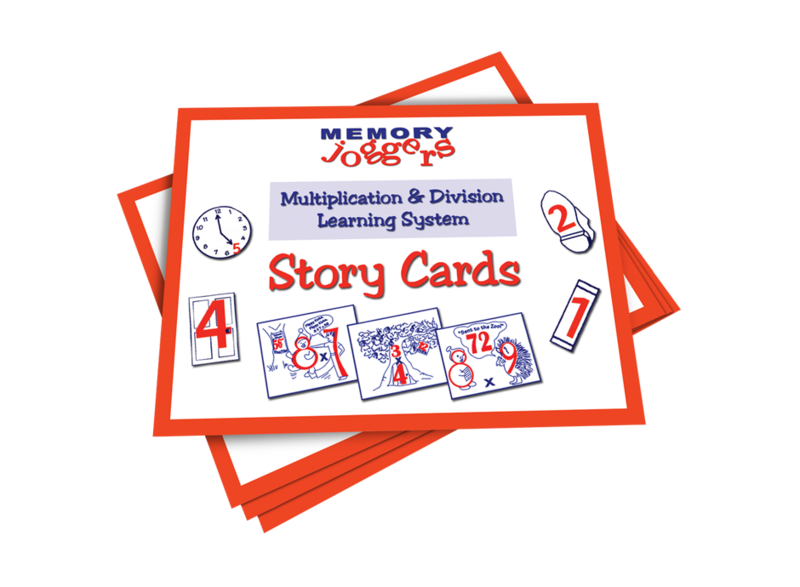 Stories & Pictures Make Memorization Easy! 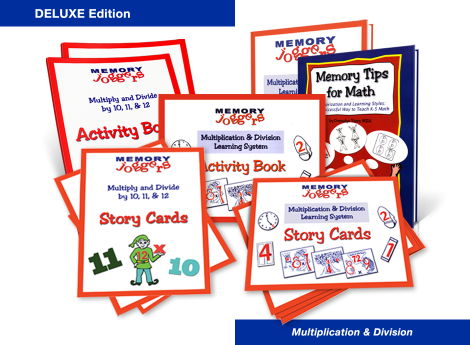 This Deluxe package provides everything needed for your child to learn how to multiply and divide all the facts from 0 through 12. 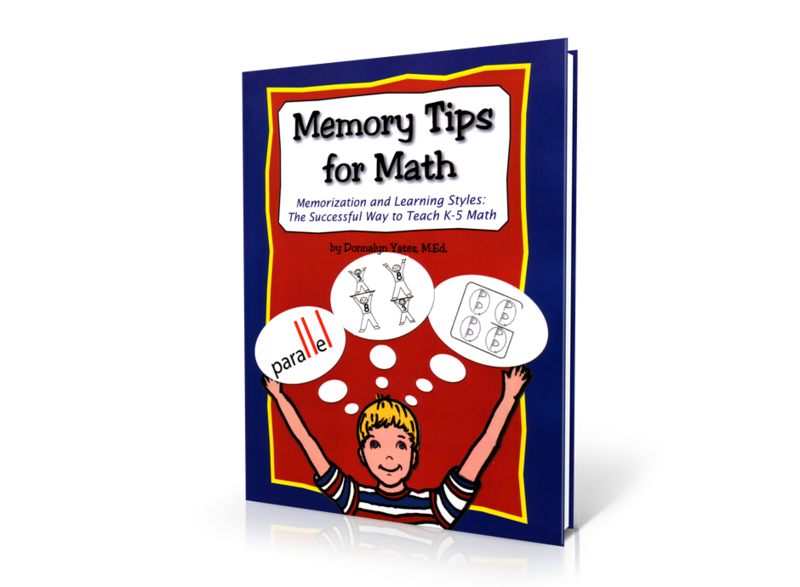 PLUS our best selling book, Memory Tips for Math. 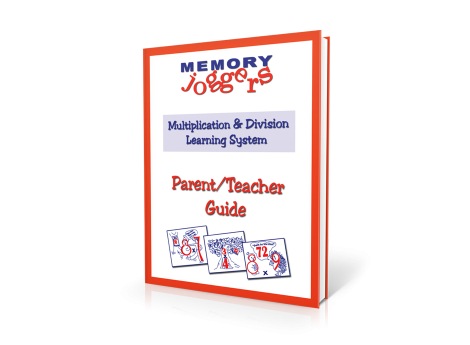 Our Memory Joggers Learning System incorporates proven memory methods to reach all children with their own specific learning styles. The memory techniques we incorporate into this system use rhymes, stories, pictures, associations, mnemonics; along with fun activities to speed the learning process. 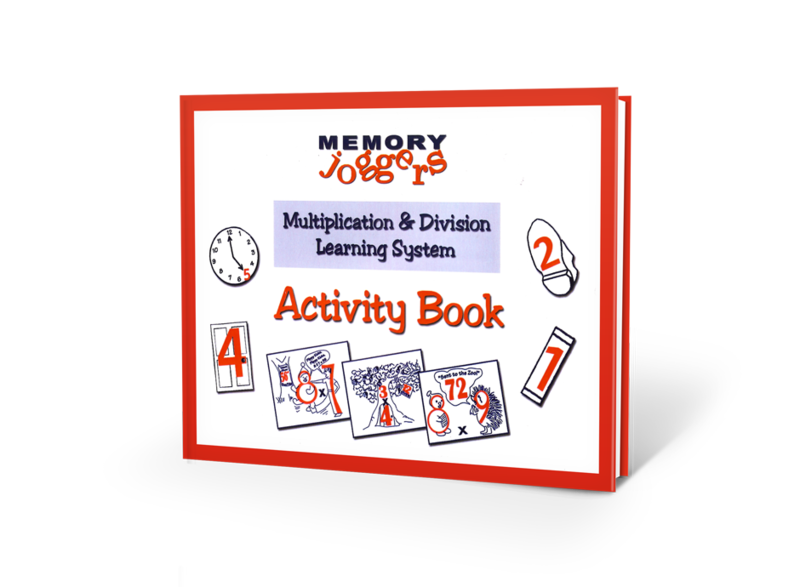 Students learn in less than 2 months. 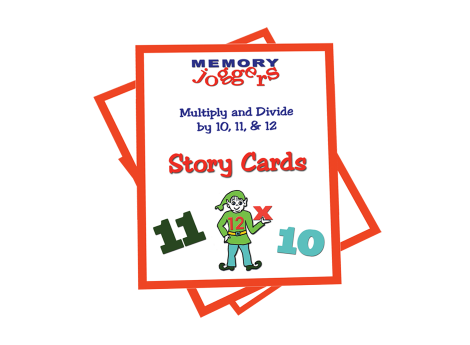 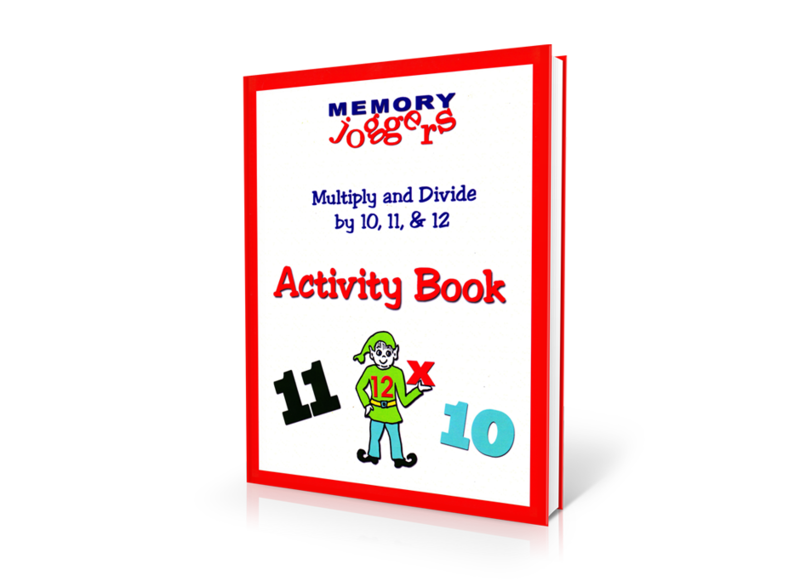 We’ve assembled all the things you’ll need to teach your student or child how to easily multiply and divide up to their twelves using simple stories and rhymes.